An Advertising Art Director by profession, Karine's foray into calligraphy began in 2012 with a single Pentel brush pen and a pointed pen fitted with a Blue Pumpkin nib. To keep her sane from the madness of her day job on week days, she started doing the #littlebookproject on Instagram on weekends where she wrote her favourite book quotes. 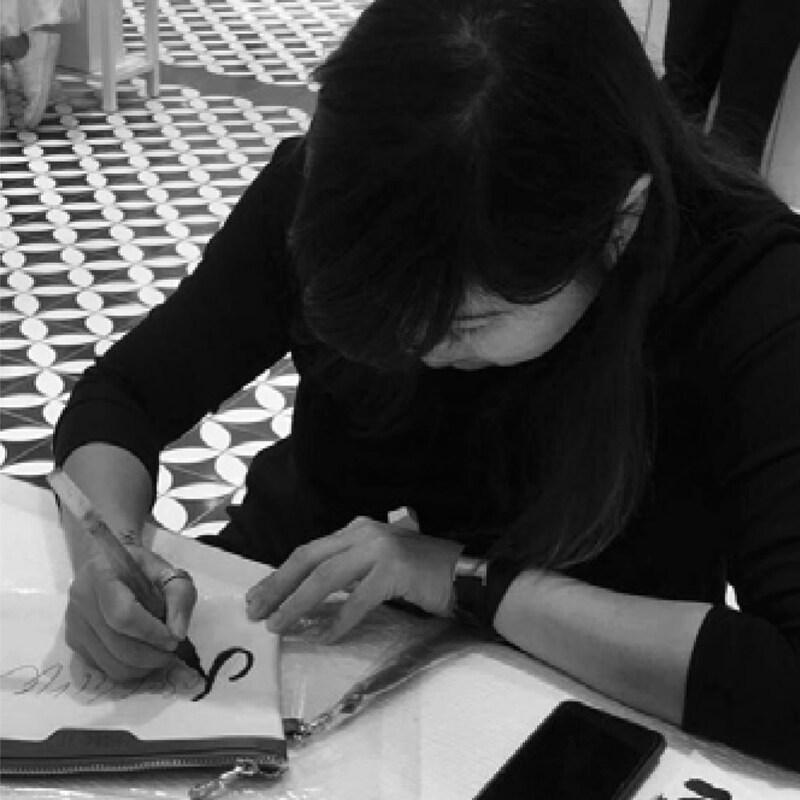 Since then, calligraphy for her has grown beyond the confines of Saturdays and Sundays, as has her repertoire of calligraphy tools and projects.